Perfect for any first aid kit, these disposable cold and hot packs are convenient and simple to use. 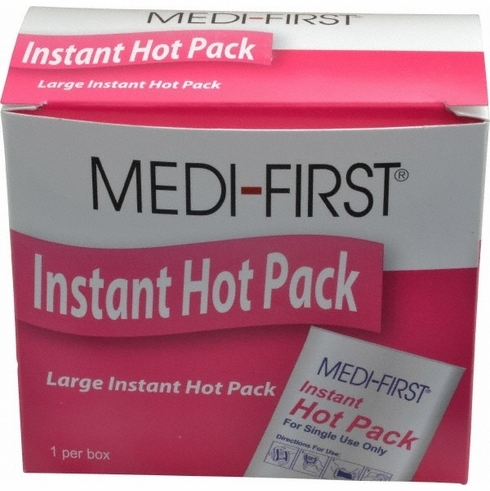 This Hot Pack from Medique is a first aid treatment for minor injuries to reduce swelling and relieve pain. Perfect for any first aid kit, disposable, convenient and simple to use. The large hot pack measures 6" x 9" and is an excellent solution for those who prefer drug-free therapy. Hot pack is boxed and is sold individually.